How to use this site: At the top of the page you will see a list of upcoming speaking events that are highlighted in red. Directly underneath this is the daily Blog Post. Scrolling down is the complete list of all Speaking Engagements, with dates and links. The last section is, In Other News, this is where I post seven stories that I believe are pertinent to prophecy and the birth pains that we are currently in. Before I launch into this Blog that I wrote on the return flight from OK City, on Wednesday, let me encourage you to go to In Other News, section as events are heating up in Syria and the Middle East. I will provide updates as events progress. 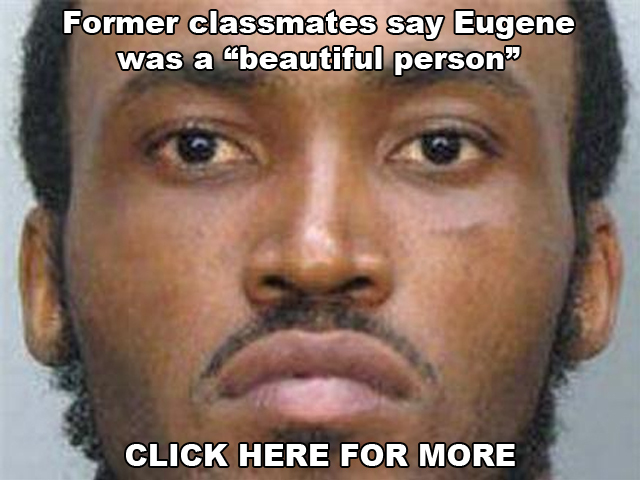 According to this story, there was no drugs found in Rudy Eugene. The toxicology report indicated that there were no foreign substances in the man, no LSD, or Heroin, only traces of Marijuana. Now we see that the police are wondering what caused the man to “snap,” as it were, and attack the homeless man, Popo. 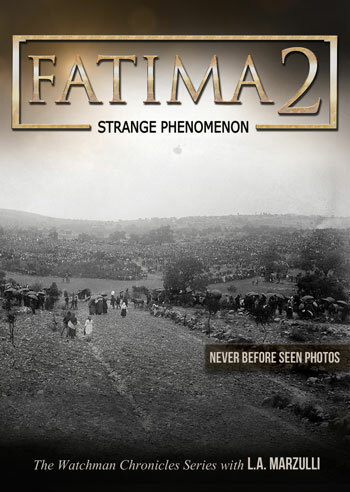 The authorities are baffled and will remain such as long as the prevailing secular world view, that refuses to acknowledge the supernatural, remains the paradigm in which they operate under. So here it is weeks later and authorities don’t have a clue as to what set Eugene off. You may recall that when the policeman arrived at the scene and told Eugene to stop attacking Popo, he turned and growled at the policeman. According to the police report the officer emptied his gun into Eugene before he stopped his attack. I would love to contact the officer and ask some questions. What did his eyes look like? Did he speak in an unknown tongue? How did he react when he was shot? When he finally was subdued did he say anything before he passed away? Did his facial expression change? Did any passerby’s witness anything that the public was not told? Did Popo remember anything at all that might have led Eugene to attack him? Here is a passage from the Book of Enoch. While this book is not part of the canon of scripture it is quoted in Jude, 2nd Peter and is alluded to by Paul, in Corinthians. Portions of Enoch also show up throughout the TENACH. 14 And began to injure birds, beasts, reptiles, and fishes, to eat their flesh one after another, (8) and to drink their blood. The question I have is this, was Eugene possessed by a Nephilim spirit? We are told that demons roam the earth, in other words they are earth bound spirits that need to inhabit something in order to manifest. Could this be the answer as to why Popo was attacked and his face almost completely chewed off? In closing todays post: I believe that this is the tip of the iceberg in that we are entering a time where we will see more of these bizarre incidents that shock us. The reason for this is that we are seeing the demonic manifest in ways that I believe are unprecedented. If I am right then incidents like so-called Miami Zombie, are harbingers of what is coming. 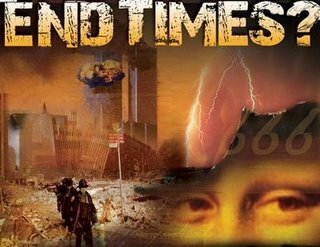 We are warned by Jesus that unless those days were shortened – the days of the Tribulation – no flesh would survive. I believe that believers will not be here to see those days as we will be taken out well in advance of the Day of the Lord, or the Wrath of God. However, I do think we will see more bizarre stories like the one which shocked this nation a few weeks ago. 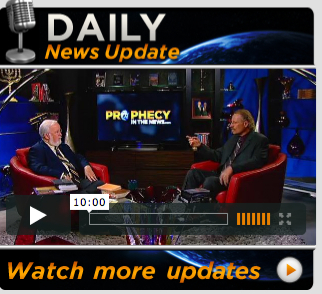 Bob Ulrich of Prophecy in the News! 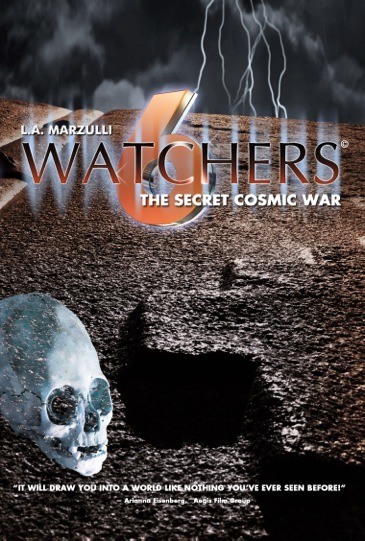 L.A. Marzulli, host of the wildly popular Watchers DVD series, loves to explore the world of the supernatural. 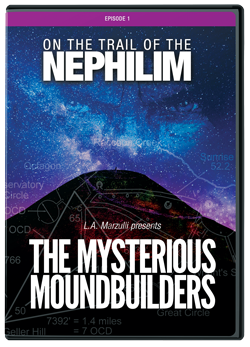 His first three DVDs covered the strange events taking place outside the realm of the secular media—real footage of UFOs and the explosive Temple Mount event—the strange sounds emanating from both Heaven and Earth—the coverup behind the Shroud of Turin—and alien implants and interviews with the doctor who specializes in their removal. 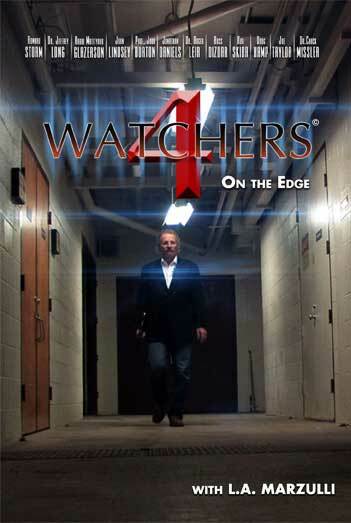 His latest DVD in the series, Watchers 4: On the Edge, pushes the envelope even further in pursuit of the truth. We all know about the hybrid race that the Bible describes in Genesis 6. 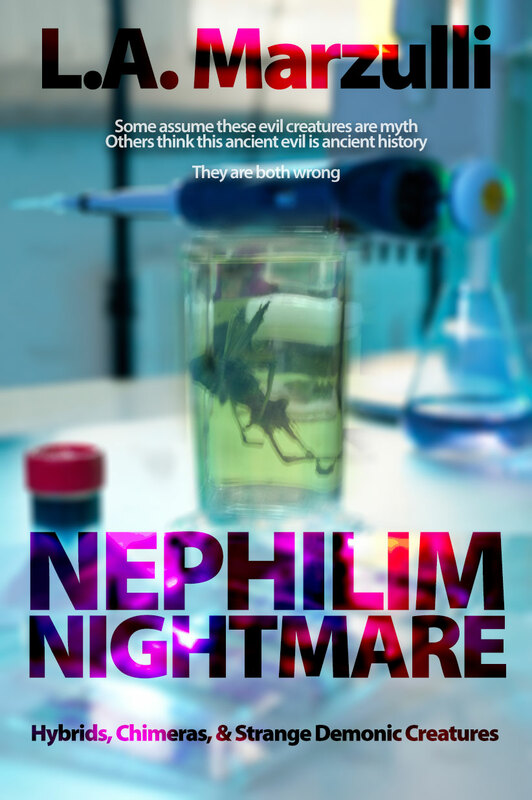 Fallen angels left their “first estate” and created a new hybrid breed—half angel, half human—the Hebrew calls them the Nephilim. But where’s the proof of these biblical giants? 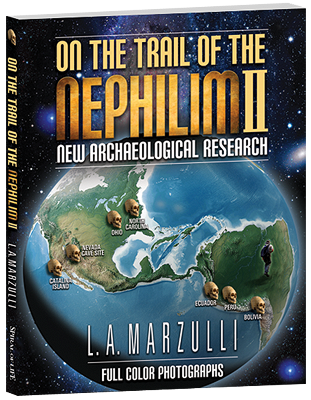 Marzulli tackles this highly controversial issue head on, hitting the road with his producer and partner Richard Shaw to interview the experts—authors, scientists, forensic archaeologists and professors and they get to the root of the legend. Were these giants really the cause of Noah’s Flood? 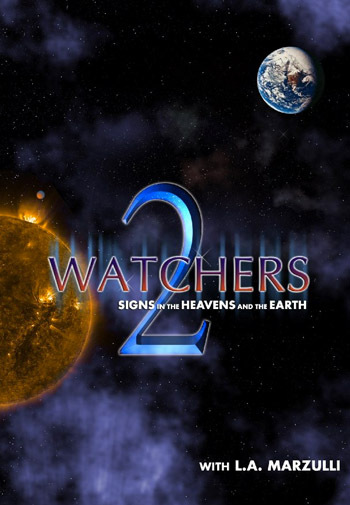 Near death experiences are another highlight of Watchers 4 as Marzulli interviews the leading experts in the field, one of whom shares his research into more than 3,000 case studies on heaven and hell. Have these people really seen the afterlife and come back to tell us about it? What proof do we have to prove that they’ve seen the other side? And there is a lot more. Dr. Roger Leir returns with his latest alien implant research, more spectacular than ever. The roots of the Arab Spring are exposed in an exclusive interview with a source from inside Israel’s Parliament. 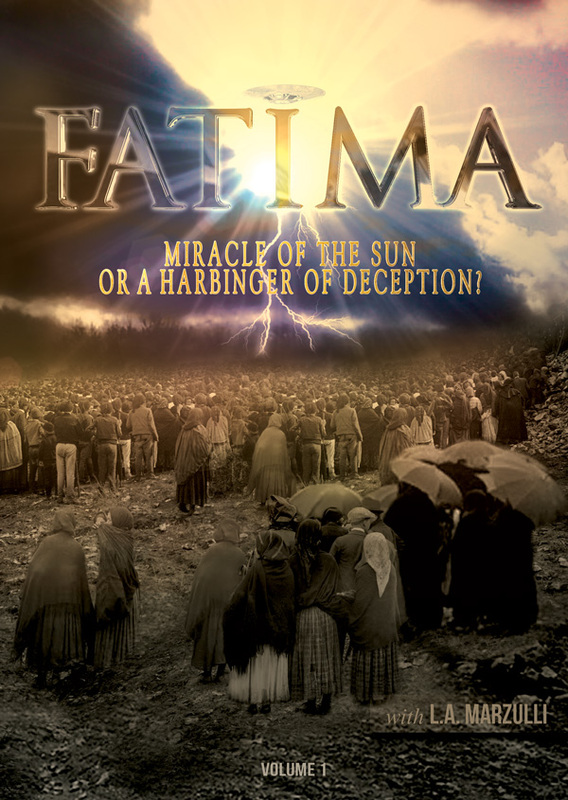 Prophecy expert Chuck Missler joins L.A. for an interview and author David Brennan also makes a special appearance, sharing the spectacular news about what happens to countries that attempt to divide Jerusalem—mammoth disasters seem to occur within 48 hours of their divisive actions! 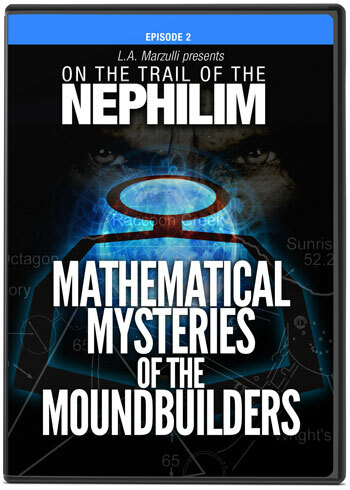 Lastly, biblical numerology is discussed and exposed. What significance are the numbers 13-13-13 and the number 12,111 and how will these numbers affect our future? Are the Torah Codes real? Or just happenstance—the product of an overactive supercomputer ? 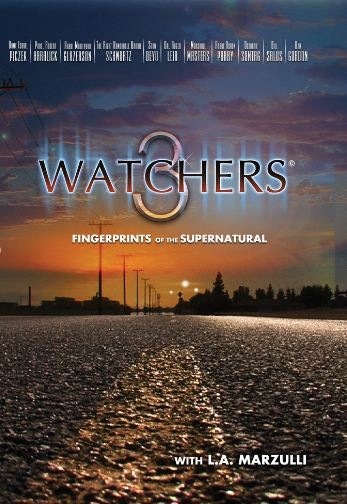 This is easily the best Watchers DVD yet as L.A. and Richard continue to expand their production budget and our supernatural horizons. 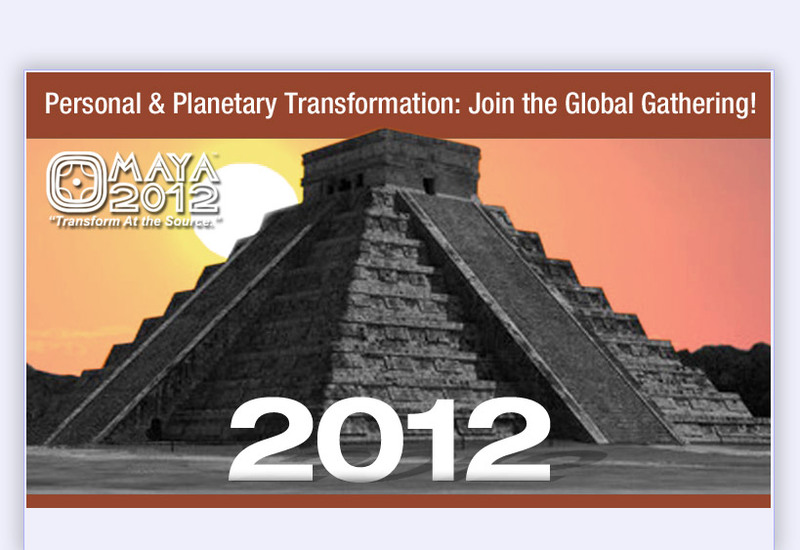 Sign up now as I will be speaking on December 21, 2012 at the Mayan Temple! We are raising money to get Russ Dizdar and Richard Grund on the Trip. Over the weekend we had some people donate to the Chitzen Itza trip! Thanks to you all! We now have $8,450.00 our goal is $12,000. Donate now by going to the right side of this page and clicking DONATION. I won’t go alone on this trip! L.A.
October 13: Portland Oregon – Big Foot Conference! October 20-21: Just ADDED! 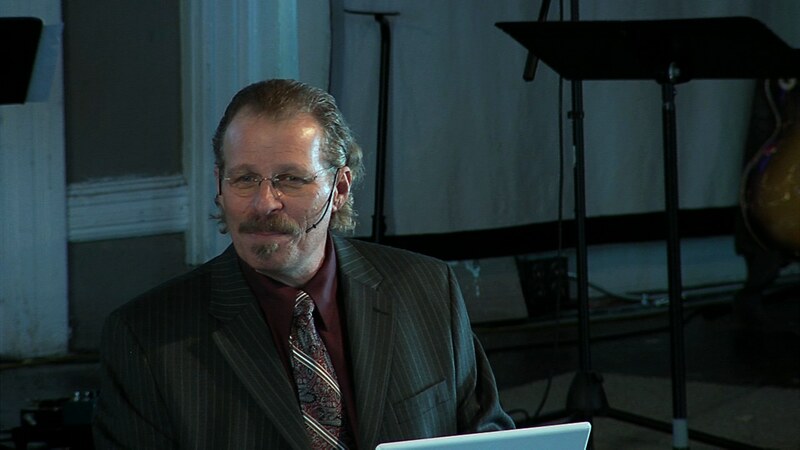 Conference with Dr. Stan Montieth -DETAILS COMING SOON! Links to all speaking engagements will be up soon! 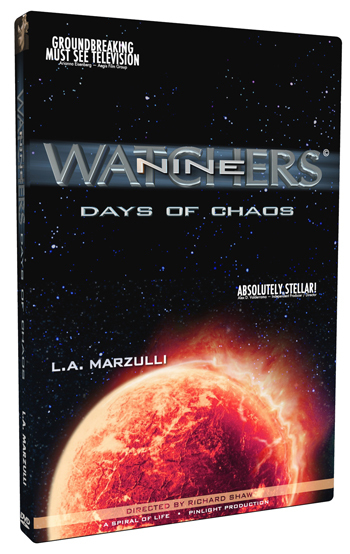 Disclaimer: L. A. Marzulli speaks at a variety of venues that feature other speakers. L. A. Marzulli in no way endorses or necessarily holds similar views, as those who share the platform with him, unless specifically noted! In Other News: Tacking the Birth Pains! 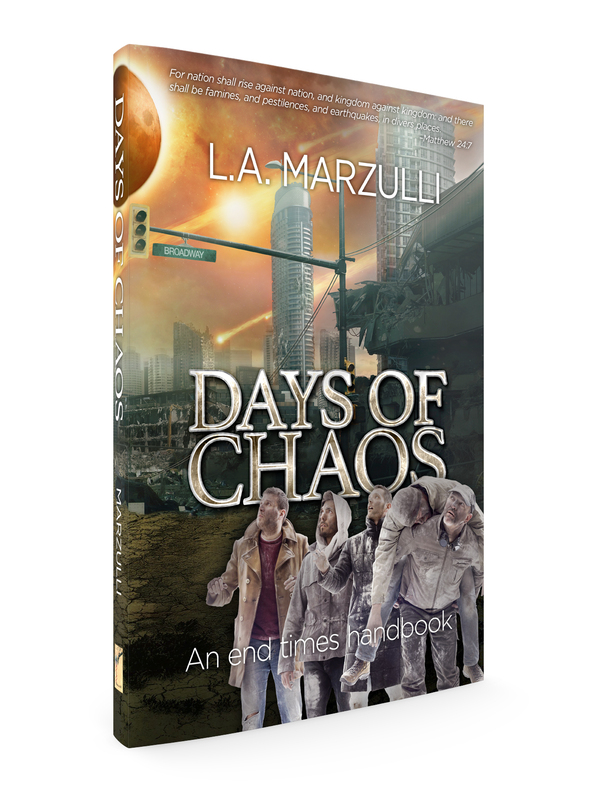 L. A. Marzulli on Prophecy in the News! Daily Update! 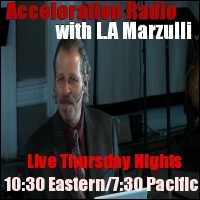 Acceleration Radio! Tonight: Ron Morehead returns! Ron Morehead is the producer of the Bigfoot Recordings Vol. 1 & 2 as well as an accomplished author. He has had much field experience with the Bigfoot phenomenon and many encounters. It is his personal desire to see the Sasquatch, otherwise known as Bigfoot, revealed. Voices in the Wilderness is about the experiences of a man who witnessed, recorded, and had vocal interactions between himself and a family of giants, commonly referred to as Bigfoot or Sasquatch. 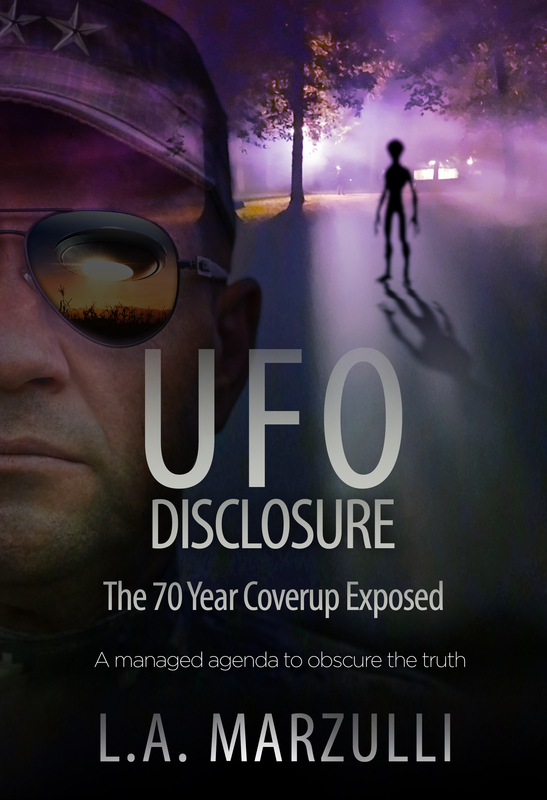 * His story is true and begins in 1971 when he, along with a group of five other hunters, encountered these creatures in a remote and imposing part of the Sierra Nevada mountains of California. 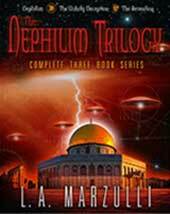 It spans his 40-year history trekking in-and-out of this secluded area to seek out and understand the enigmas associated with these beings. What makes his story so different and compelling is not only the supporting documentation but the recurrent effort on the part of these ‘beings’ to communicate with this group of hunters. In this book the author has included a CD with actual recorded interactions. It also provides the context in which they were made. When the ‘Track Number’ appears, the reader can play that sound on the CD. The eBook has embedded sound tracks or links to those tracks. 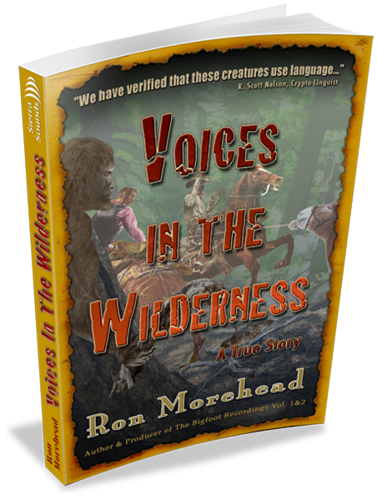 Challenged by skeptics, but time-tested by science, Voices in the Wilderness brings to the reader an exciting report of unsurpassed vocal interaction between humans and Bigfoot. This book is meant to encourage the Bigfoot enthusiast, direct him or her to those techniques that worked for the author, and to inspire those who still believe we humans have a lot to learn about nature and the cosmos. Science has established that these unusual sounds were spontaneous and made at the time of the recordings. And, in a more recent study, a complex language was discovered. 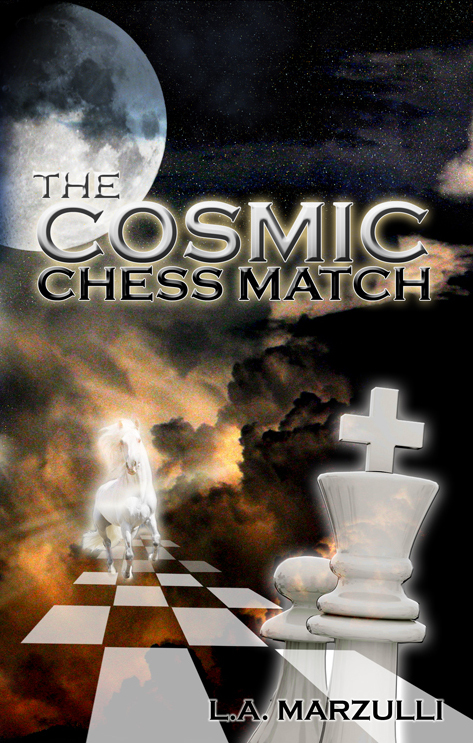 The author thinks they are sentient and, like humans, can reason using cognizant thought. From a shrewd forest monster to a half-human remnant of a demigod, the reader should be prepared for an exclusive look at what this author thinks. 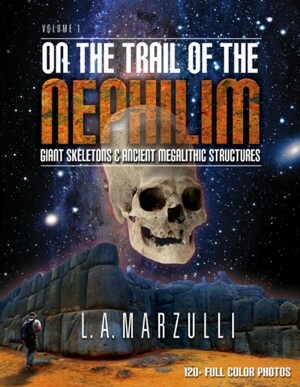 His story also provides the reader with a unique and refreshing insight into the nature of these giants. But, what exactly are these legendary beings that stealthily roam the forest? Why did they choose to interact with this man and this particular group of hunters? What do they want to convey? NOTE: *The author has purposely capitalized the name of Bigfoot throughout this book – only because the species has not been scientifically established. Once scientists have established their genus, whatever it ends up being, it would not be capitalized – like bear, deer, elephants, humans, etc. Middle East Update – What Will Russia Do? I landed in OK City safely and my good friend, Bob Ulrich met me at the Baggage claim. When we left the air-conditioned terminal, Bob quipped, “Welcome to the oven!” The temperature was over 100,’ and I immediately took off my jacket and rolled up my sleeves. We headed out to Prophecy in the News as Bob had a few items to attend to, and I made my way toward the product room where I eyed the latest books and DVDs. We then headed out to see Gary Stearman and wound up talking with Gary and his lovely wife Doris, until eight, pm! 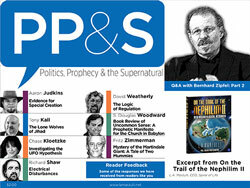 We covered everything from the Nephilim, UFOs, Ezekiel 38 and Big Foot! Then it was off to P.F. Chang’s for a late night dinner. 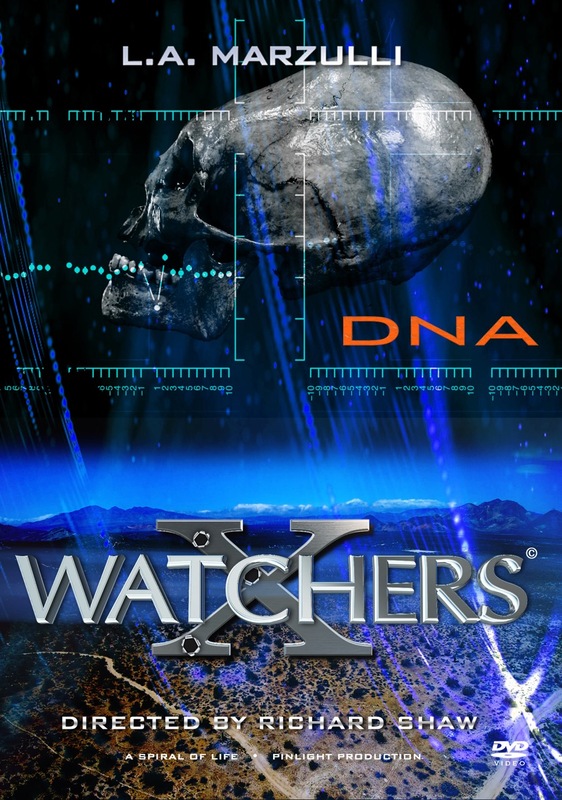 We will shoot two interviews today on Watchers 4, and then I head back home to Los Angeles, to start working on my presentations for the Branson Conference, which by the way, is sold out! Now to todays business at hand! And with the recent announcement of joint war games, and one of the biggest, among China, Russia, Iran and Syria, the signal is going strong for forces that wish to intervene in either Syria or Iran. Iran’s Fars news agency reported that more than 90,000 soldiers from the aforementioned 4 countries would take part in the military exercises, making it the largest in regional history. Theses war games will include air defense and missile units as well as ground, air and naval forces and are scheduled for early July. Although it is very clear that Russia and China are saying No to Syrian intervention, President Obama clearly seems to defy this intention. If this happens, the situation would certainly move towards a conflict, a conflict for which the Chinese and Russian militaries have now long been preparing for whereas the US military is already stuck in major failed campaigns such as Iraq and Afghanistan. And with proxy engagements in Yemen, Somalia and Pakistan, it would be daunting task for the US forces to face Chinese and Russian militaries. Here is an interesting article that our Weasels-in-the-stream, media seems to have overlooked. I would encourage everyone to click the link above and read the entire article. It would appear that Russia is not going to back down, as it has repeatedly stated that it will put its military muscle behind the faltering Assad regime in Syria. Russia, combined with China and Iran are about to conduct the largest war-games in the region’s history. British commando units are in Damascus and Turkey is chomping at the bit to attack Syria so the big question is when, not if Russia will move to counter the British and multi national forces that are moving into Syria. From a Biblical, prophetic, viewpoint all of this movement of troops and munitions begs the question, are we looking at the formation of the ancient prophecy of Ezekiel 38 being fulfilled? I h ave stated this before and do so again now, that Assad has a large chemical weapons cache and at some point I believe he will use it against Israel. Israel is not going to stand down and do nothing if she is attacked and if Syria does attack it will surely lead to an all out confrontation. The battle lines are drawn and I believe we are seeing the formation of WWIII. In closing todays post: It is now summer and our INTEL has reported that Israel will more than likely move against Iran between July and September. Of course this is no secret and the Iranians are expecting an attack. I will close with this “word” that I received while at a conference in Maryland as God is in control. Be still and know that I am God. Behold, the days are coming when I will show my strength on the mountains of Israel. Middle East War – Update! 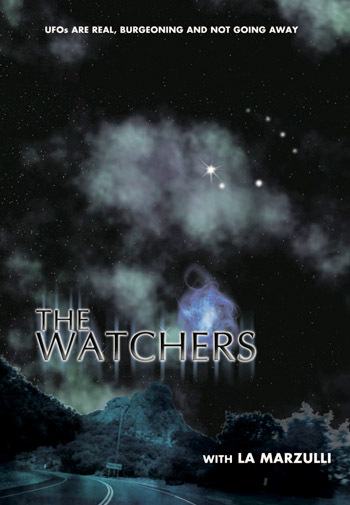 I’m back on a plane in about two hours and headed to OK City, where I will have an interview with Gary Stearman of Prophecy in the News, about Watchers 4. I just wanted to briefly comment on the above headlines before the flight as this is a new and serious development in the Middle East. This follow-up action would depend substantially on Syrian, Russian and Iranian (+ Hizballah) responses to the initial stage of the operation. The reported British incursion, if confirmed, occurred at the tail end of Russian President Vladimir Putin’s 24-hour visit to Israel Tuesday morning and would have posed a direct challenge to his repeated warning that Moscow would not tolerate Western military intervention in Syria and actively prevent it. Similar warnings have issued from Tehran. The above paragraph is what concerns me, as we will have to see what the response is from Russia and Iran, to the use of multi-national troops in Syria. I would predict that if Assad believes he is about to be toppled he will attack Israel, possibly drawing from his vast chemical weapons cache to do so. About a year ago I posted a story that had some saber-rattling between Israel and Syria, this was before the Arab Spring, in which an Israeli official responded directly to the threat of chemical weapons be used against Israel, by saying, If Syria uses chemical weapons against us we will annihilate Damascus! 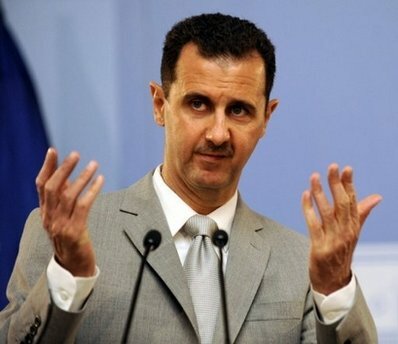 If Assad is backed into a corner, and by the looks of this story he is, I believe he will lash out, in a last attempt to hold onto the reigns of power. In closing todays post: Our INTEL told us that Israel would most likely go to war between July and September. July is just around the corner and with this latest advance into Syria by a multi-national army, it would appear that if Assad does not act now, he will most likely be toppled from office. The elephant in the room is Russia and with Putin at the helm, and thus, anything is possible in the way of response. I will BLOG tomorrow or as I’m able. Brotherhood Rules in Egypt! I told you so! Last year as the Arab spring toppled the Mubarak government I wrote an article and posted it here predicting that democracy would not prevail in Egypt, but that the Moslem Brotherhood would grab the reigns of power. Guess what? I was right about this as the link above bears witness to. The question we should be asking is how does this effect Israel? What will happen to the already strained peace treaty that has been in place for decades now? Will the Brotherhood honor it or will it fall of its own weight as the Brotherhood, and President elect Mursi have made it clear that Jerusalem will be the capital of Israel. Once again I’m posting the link from May 1, 2012 that shows a demonstration in Tahrir square, in which thousands of Egyptians are chanting, To Jerusalem we go martyrs in the millions. When the Islamic cleric Safwat Higazi, announces that Egyptians will either pray in Jerusalem or die trying he’s not blustering, as I believe the man says what he means and means what he says. With the kind of rhetoric being displayed by Higazi and there Brotherhood it would seem that a conflict will happen sooner or later. In my opinion Egypt knows it cannot win a war with Israel, but as in the war of 67, in which a combined force of five Arab countries attacked Israel, I will posit that we will see a coalition of Arab states attack. In closing todays post. If we were to take Psalm 2, and overlay over Isaiah 53, we discover that is a clear picture of the crucifixion of Jesus. In other words those two passages of scripture are describing the same event but by two different authors with different viewpoints, at different times. What if, and I realize I’m going out on a limb here, but what if Psalm 83 and the Ezekiel war are one and the same. In other words, the two events, are a different description of the same war; or perhaps the Psalm 83 war triggers the Ezekiel 38 war and they overlap each other? I will remind you of the word that I received a few weeks ago while at Cornerstone Fellowship, in Maryland: Be still and know that I am God. Behold, the day is coming when I will show my strength on the mountains of Israel. War is coming to the region and I believe it is WWIII. It is a game changer and may lead to the collapse of our financial system. I got into bed around 10 last night and slept really well, which is unusual for the first night out. 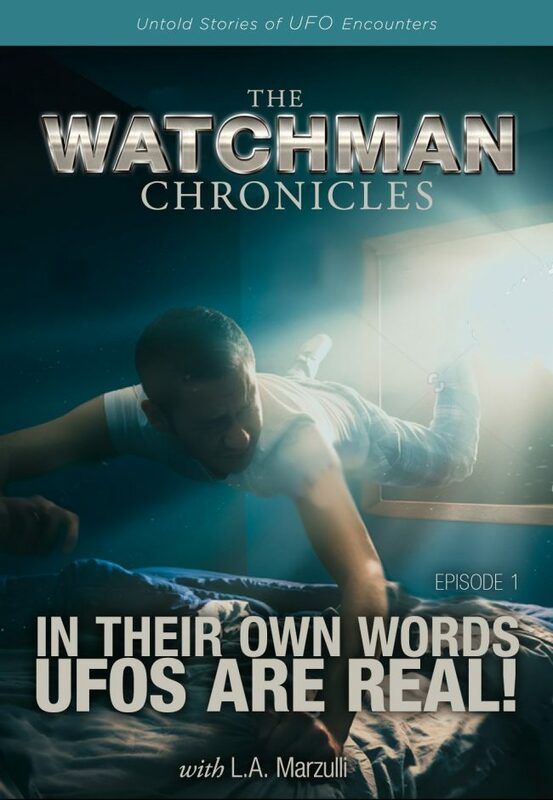 Today we will film two interviews for Prophecy in the News, with Gary Stearman, as J. R. Church is, at the present time, bed ridden with cancer. 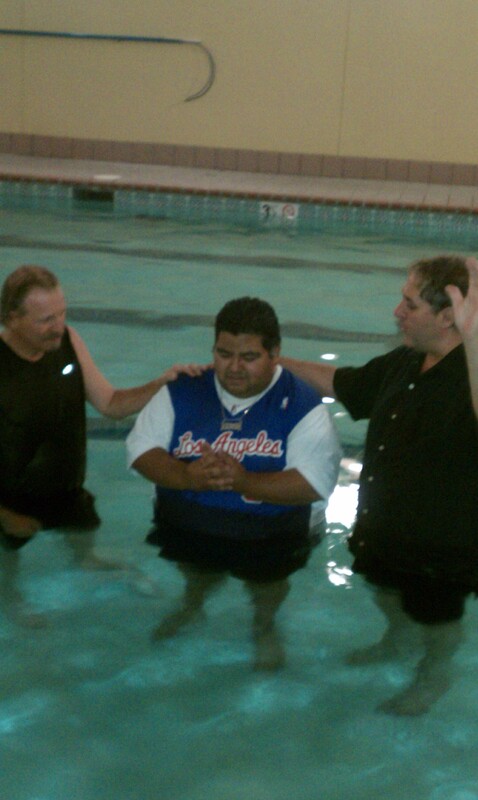 Prayers his way from all of us here on this BLOG. I want to bring to your attention to an interview that I saw late last night on the TUBE. There was an Imam who was being interviewed and he was trying to assuage any fears that we, in the west, would have about the Moslem Brotherhood. “The Brotherhood is not interested in violence…” Well, I don’t buy it for a minute, not even for a second. When a representative of the Brotherhood announces that the eyes of Egypt will be on Israel, do we really believe, for a moment that he’s just pulling our leg? That he doesn’t mean what he says and says what he means? Do we really think that a leopard can change its spots? The Moslem Brotherhood creed states plainly that, Jihad is our way! I’m not making this up, that’s what the creed states. Do we think that somehow this doesn’t apply to the present day? Do we really believe that these guys aren’t interested in implementing Sharia law, Jihad, and martyrdom? I am amazed that we even listen to this kind of double speak. 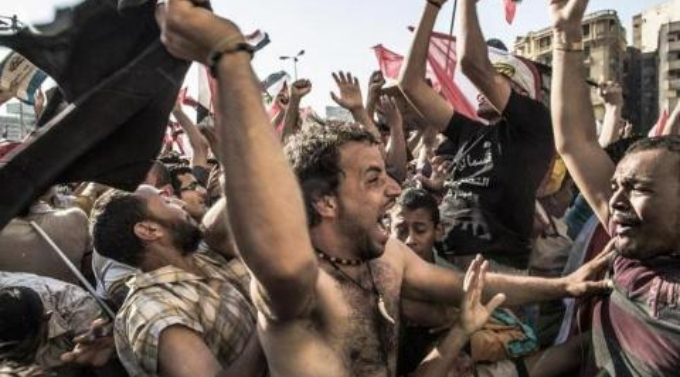 Egypt is about to implode as a result of President Mubarak’s refusal to step down. The latest news is that he’s left for his summer residence, in Sharm el Sheik. He goes from one palace to another and expects the people to hang on until September? As I have stated before, Islam is the predominant world view of the Egyptian people and thus, in my opinion, there is no springboard to democracy. There is no phrase, like, all men are created equal, because Islam teaches that Jews are the descendants from pigs and apes, and that infidels are not equal to a Moslem. This is contradictory to any form of a democracy, where all men and women are created equal and are protected under a constitution with each having one vote. It will be interesting to see what plays out, but if I were a betting man, and I’m not, I would put my money on the Brotherhood. I’m willing to bet that there will be an Islamic republic, similar to Iran, where Sharia rules and the Imams decree endless Fatwa’s. Where women are second class citizens and amputations and stoning, are dished out as punishment for crimes. The last vestige of Coptic Christians will flee for their lives, as will any Jews who are left in the country. Then the Imams and the Moslem Brotherhood will turn their eyes to Israel. Forget about creating a viable infrastructure, better irrigation, schools, hospitals and a better life for the people. No, the cry will be to kill the Israeli’s to wipe Israel off the face of the earth and free the oppressed Palestinians. In closing today’s post. The uprising in Egypt is spreading to other countries and Jordan, may be next in line for an upheaval. The Iraqi government is being propped up by the US, but the sectarian violence continues, in that country, and on and on it goes. In my book Politics, Prophecy & the Supernatural, I quote Henry Kissinger, “We are at the point of a clash of civilizations, between Islam and the West.” We must understand that unless Islam is reformed, which I doubt will happen anytime soon, the hatred of the Jews and Infidels which is inherent to the religion, will continue to foster the violence and repression that it has for centuries. 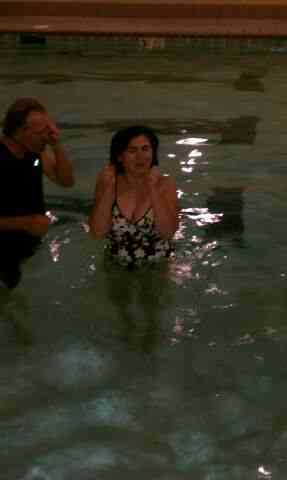 Here’s some photos of Russ Dizdar and yours truly Baptizing Maria and ‘Heceh,’ late Saturday night at the Chicago conference!